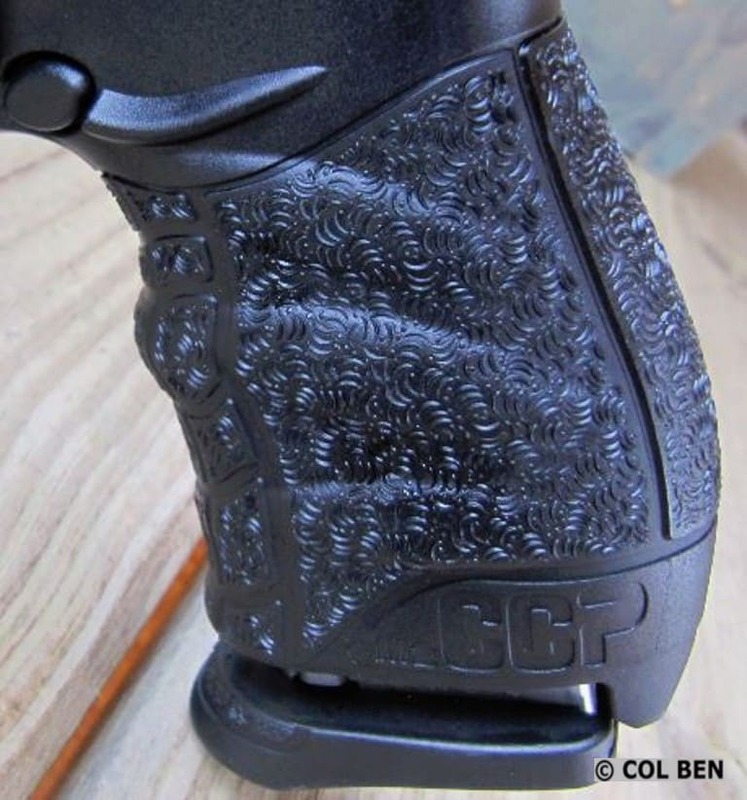 Home › News › Walther CCP M2 Review: A Cheap Concealed Carry Option? Walther Arms’ CCP M2 (CCP – Concealed Carry Pistol) (M2 – Model with American-style magazine release button) is promoted as a striker-fired semi-automatic pistol with a fine trigger and ergonomics which is value-priced. Some say the trigger and ergonomics are the best now for a striker-fired handgun. In the past, I have reviewed the PPQ M2 5-inch full-size, 4-inch compact-size, and 3.5-inch sub-compact models and liked them so much that I bought and used them all. I found that they did, indeed, have excellent smooth and soft-shooting triggers with short resets. And the grip, fixed barrel, and overall ergonomics worked fine for me. But is there a value-priced Walther with similar features which would be low-priced which could be used for concealed carry? Well, I discovered the value-priced Walther CCP M2 model with a 3.54″ barrel, so I had to test and evaluate it to see if it shared features close to the higher-priced models and if it would work for concealed carry. Primarily, is it accurate, reliable, and will it handle a variety of different rounds? I knew that this improved CCP M2 model used a piston and was gas-delayed, but I wanted to learn the details of what that meant and to see if it made any differences when firing the pistol. Basically, the usual straight blowback 9mm has the standard recoil, but what about the felt recoil from this CCP M2 with its gas-delayed blowback pistol system? Walther’s piston system is called “SoftCoil” which hopes to reduce recoil using a piston, gas-delayed blowback, and lighter recoil spring while making the pistol’s slide easier to rack. Of course, this is attractive to new shooters, those more sensitive to felt recoil, and those with medical conditions or weak grip strength. 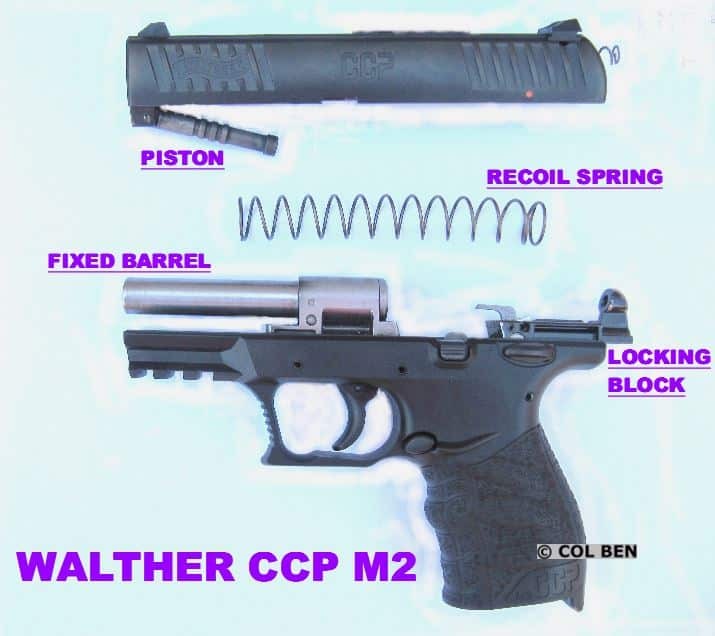 The Walther CCP M2 gas-delayed system uses a fixed barrel and gas pressure from the ignited cartridge, directing it through a small port in the barrel in front of the chamber to slow down and delay the rearward motion of the slide. It vents or bleeds off some of the expanding, ignition gasses into a cylinder using a piston which is attached to the slide. So, the slide ends its rearward motion, opens the breech, and ejects the empty cartridge case. It does seem to help make it a soft-shooting pistol with lighter recoil. And field stripping this new CCP M2 does not require a tool for disassembly, but at first, for this non-engineer, it was a challenge to fit the piston into the port. Now a piece of cake, but the wife will still not let me touch any mechanical home jobs. To disassemble, push in and slide to the right the small, serrated locking block at the rear of the frame. Doing so frees the locking block and the striker cover. Then bring the slide back a little to free the extractor and pull up the rear of the slide to remove it. Bada Bing, Bada Boom! 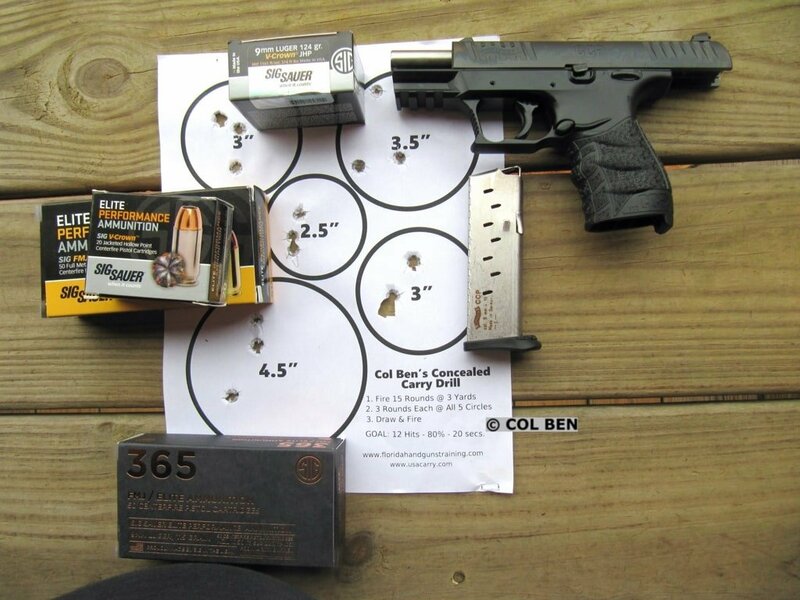 How accurate is this pistol for self-defense distances? How reliable is it for concealed carry? Is the trigger press soft and short with a short reset and no trigger grit? Is the felt recoil soft with their Piston system? Is the slide easy to rack? Do I recommend this value-priced CCP M2 pistol for concealed carry or home defense? I was anxious to get hands-on at the range with this CCP M2 9mm with its piston system, then compare and rate it relative to the other 21 CC guns that I analyze and rank in my book “Concealed Carry & Handgun Essentials for Personal Protection.” This is my report and opinions about the CCP M2 9mm model for concealed carry. Should you even consider it for your carry gun, given the abundance of high-quality concealed carry pistols available at this time? I want to help you with your decision! I have other criteria and in-depth considerations in my book, but space prevents addressing them here. So, this is my brief look and report on this pistol with just a few of my key considerations to help you get started. So, I combined these into my last Miscellaneous criterion. I assigned a total possible point score of ten points for each of my ten criteria for a total possible score of 100 points. You can certainly add additional criteria and preferences or subtract any of mine. Since there are many attributes, strengths and limitations, and criteria to include and consider, you make your own tradeoffs according to your priorities, preferences, and defined needs and use. After shooting the Walther CCP M2 9mm and carefully considering its specifications and features, below are my opinions, point evaluations, and ratings for each of my ten criteria. Please know that these are very personal and subjective and that I am not a top expert shooter by any means. Also, I only shot about 225 rounds through the CCP M2, so it is not fully broken in. I shot Sig Sauer premium ammo in Elite Performance 115 grain FMJ, V-Crown 124 grain JHP, and 365 115 grain FMJ ammo. Thanks to Sig Sauer for providing this fine, premium ammo for my field test and evaluation of the pistol. The CCP M2 and its 3.54-inch barrel and cross-directional grip surfaces felt very comfortable in my hands. 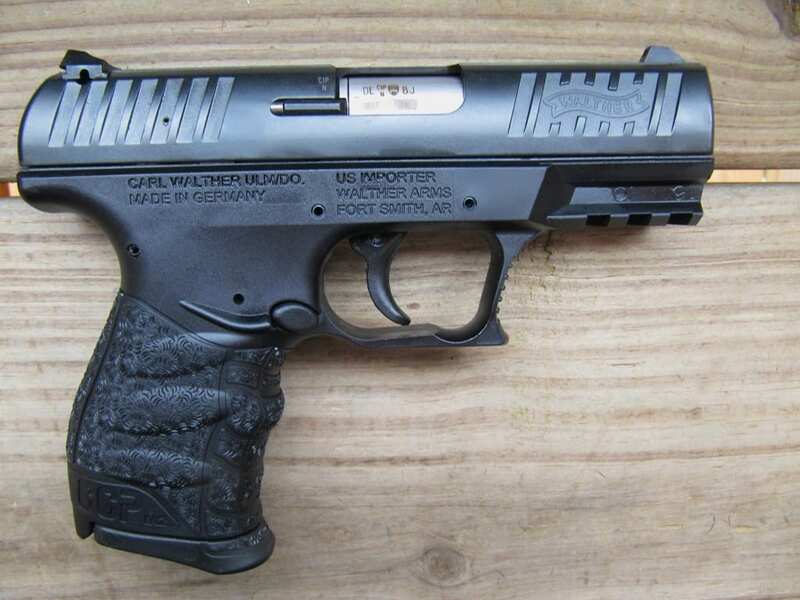 Its overall ergonomics are excellent, as I have discovered before in the PPQ M2 guns. And this CCP M2 was a smooth and accurate shooter for this value pistol. The non-slip grip felt as if it was custom made for my medium-sized hands. The texture on the grip was just right, not too aggressive and not too smooth. My wife tried the gun and she also said it felt great in her hands. She loved the minimal felt recoil and how easy it was for her to rack the slide. The M2’s felt recoil was easy for both of us to handle. This reduced movement helped on the range and it proved to be reliable and accurate for both of us. We both easily got three shots within each of the five circle targets with their varying sizes. Even the 2.5-inch circle was not a problem for us at seven yards. The CCP M2 impressed me as a well-made gun with excellent ergonomics and accuracy for a value-priced pistol. I used my Concealed Carry Drill from a standing stance, drew the CCP M2, and got rapid-fire 15 hits on my five circle targets from seven yards. And I met the time constraints and got my 80% hits (at least 12 of 15) with three hits in each of five circles within 20 seconds. This old codger with aging eyesight is not a great shot, so even this budget gun made me look good. The single-action striker trigger is nice, but it does have a long press. It is not a double-action striker trigger like so many of the strikers are now. I was sincerely amazed at the inherent accuracy and grip comfort of this excellent gun. It does have a nice smooth and short trigger, although a long trigger press. You can also download it from USA Cary here. The accuracy of the Walther CCP M2 was excellent for me at self-defense distances of 3, 5, 7, and 10 yards. You can see my results using my Concealed Carry Drill above at 7 yards. My groups at 15 and 20 yards, however, were between 3 and 4 inches and not as good. The gun performed with great reliability without any misfeeds, failures to eject or lock back upon last round, nor any malfunctions or stoppages. All of the ammo cycled well, and it sincerely was a fun value gun to shoot. I used my Modified-Isosceles Stance, a two-handed grip, and shot various Sig Sauer 115 grain & 124 grain FMJ & JHP ammo. The trigger press out of the box averaged 5.75 pounds, with ten readings with my Lyman Electronic Trigger Pull Gauge. This was very good, and I was not expecting it from a value pistol. Of course, my other Walthers (PPQs) also have great presses and triggers. While this CCP M2 press was soft, it had a very long press which I had to get used to. And the trigger had a little (not much) grittiness to it. This will probably resolve after more rounds are fired with it. So, I must shoot it more to break it in and to confirm if I want to carry it. 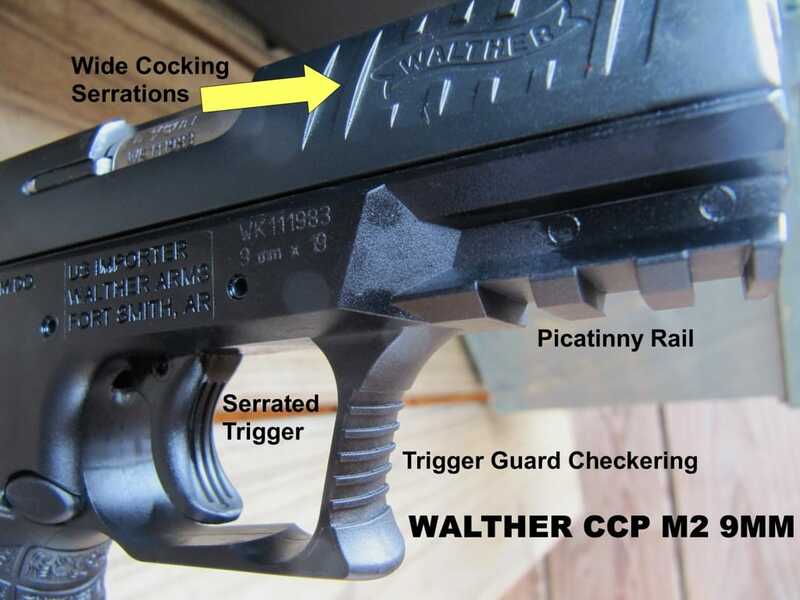 The Walther CCP M2 trigger has a short .27″ travel and a short reset point. This trigger compared favorably to the PPQ triggers and their smooth and easy to operate triggers. The single-action striker trigger helped make the shots consistent each time. This is a very good, budget, single-action striker-fired pistol with fine shot-to-shot consistency. The 3.54-inch barrel and its rounded edges and small profile are nice for concealed carry. It had a fixed barrel which seemed to help some with accuracy. My wife and I could easily handle and control the 9mm felt recoil and muzzle flip. The slide was easy to rack, thanks to the gas operations and piston. You do have to get used to the piston operations, and the barrel did get a little extra hot after about 200 rounds being fired consistently. Others echoed this same observation. I did not notice this at all in the first 100 rounds, or so I fired. Wonder how many times in self-defense you will fire even close to 200 rounds? As expected, there was some slight muzzle flip from this short-barreled pistol with a small sight radius, but no problem at all handling it. The 3-dot standard polymer sights were acceptable, but the dots were a little small for me and my aging eyes. Sadly, my old eyes tell me that I need larger dots on my sights, especially on the front sight. The rear sight was screw-adjustable for windage. As you know from my previous reviews, I like fiber optic, bright yellow or green photoluminescent or self-illuminating front sights as an option. Tritium night sights for help while carrying at dusk or nighttime are also helpful for concealed carry, so I can get a quicker sight picture. The polymer frame and the overall unloaded weight of 22.3 ounces for this gun were fine, and I could handle it well. Loaded it weighed about 25.6 ounces. The 9mm caliber in the CCP M2 was pleasant to shoot and made recoil very manageable. It handled all the types and weights of ammo that I shot without any problems. The value-priced CCP M2 came with 2 single-stack metal mags each with an 8-round capacity. The mags had a finger extension at the bottom which allowed a three-finger grip, including a place for my pinky to park. 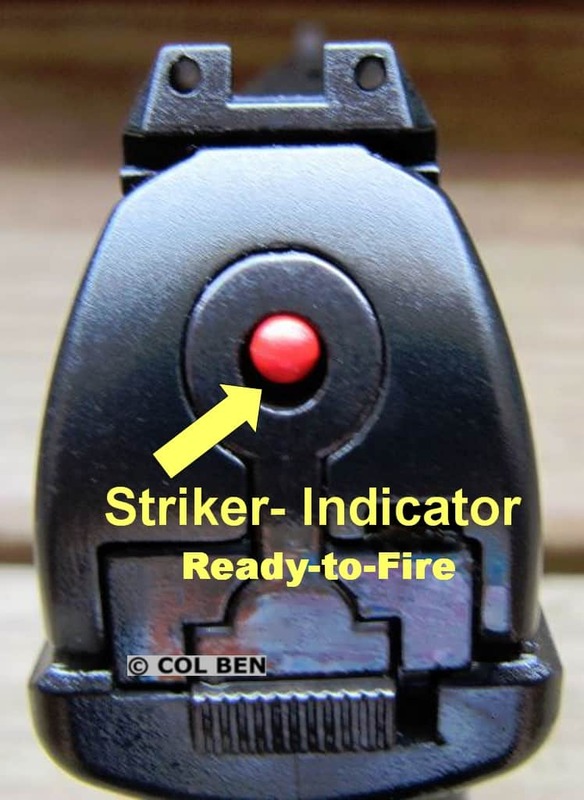 The M2 has a striker indicator at the rear of the slide, so when a round is chambered, and the striker is ready and cocked, you can see a bright red protrusion to let you know it is ready to fire. It is easy to feel the indicator protruding so you can tell a round is chambered. The ergonomics of the Walther CCP M2 was outstanding for me. My medium-sized hands fit just right and the grip texture and cross-directional surface helped me have a firm and solid purchase, without it being too aggressive or scratchy. It felt very good in my hands and also in my wife’s hands. We had no slippage and could easily reach all the controls. I did not have to turn the gun or adjust my grip for any of the controls, but my wife did slightly with her shorter fingers and smaller hands. The mag release button (American style behind the trigger guard) was ample size and easy to use. The CCP M2 comes in a lockable hard plastic case which includes two magazines, operating manual, lock, piston hole brush, bore flag, extra sights, and Allen wrenches. I easily disassembled and re-assembled, cleaned, and lubricated the CCP M2 before I shot it. This should be a habit for all shooters. 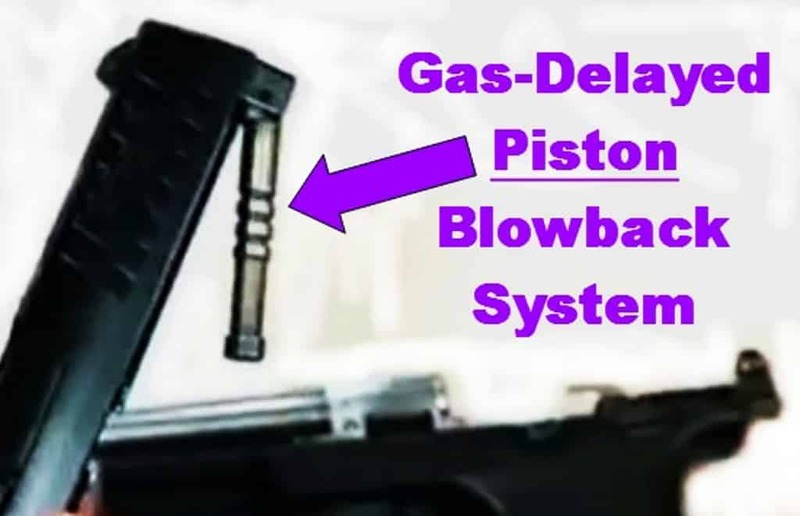 This gun with its gas-delayed piston blowback operating system especially requires it be well lubricated and the piston hole well cleaned. No problem, but a very necessary task. Total Points = 92 out of 100 Possible. For a value-priced pistol, the Walther CCP M2 9mm gun is a nice combination of ergonomics, accuracy, reliability, small profile, and easy concealability. Do not be hesitant about their SoftCoil gas-delayed piston blowback system. It works to help make the pistol a soft shooting, recoil manageable pistol with an easy racking slide. I definitely recommend the Walther CCP M2 3.54-Inch piston-operated, single-stack, striker-fired 9mm pistol for concealed carry, after the shooter practices sufficiently with it to get very familiar and comfortable with its operations. Of course, I would consider adding my preferred fiber optic or tritium night sights for low and no-light situations. The CCP M2’s excellent grip and overall ergonomics, nice trigger (albeit a long press for me), and controllable recoil, easy slide racking, moderately-low market price, and accuracy were very impressive to me. This is a very nice striker-fired, single stack concealed carry gun for you to consider at a decent price. While other options exist with more features for your concealed carry pistol, at least consider this very fine pistol for the price and reputation that Walther offers. If I recall, the first CCP won an NRA Golden Bullseye Award. My book has more options, data, criteria, and analysis of the top 21 concealed carry handguns I recommend. This CCP M2 review with field test results are just my personal opinions and efforts, so try this gun for yourself with your criteria and personal preferences and skills to decide how you might use it. I hope this Walther CCP M2 review has helped you gain some information you did not previously have. Consider that this is just my point of view with limited live-range fire and using only 225 rounds of premium ammo. Like always, I recommend that you shoot any handgun yourself before you purchase it. Decide on your criteria, how you will primarily use the gun, and what features are important to you ahead of your range time. Then critically evaluate the gun YOURSELF per your criteria and purpose, with standard drills (several mentioned in my book), with various ammo types, over an extended break-in period of about 500 rounds. Remember, Safety First Always.